Often times weddings have some sort of feminine flair, whether it be lace overlays on the table or flowers trailing down the cake. However, for Michael and Dan this was not the case. 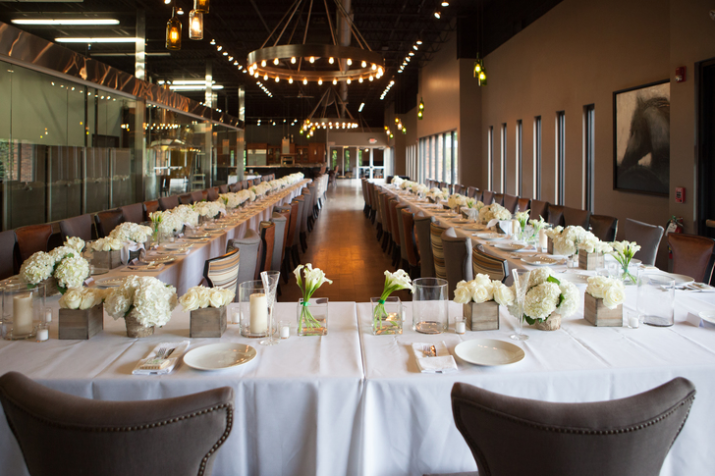 Dark Horse Distillery was the perfect location for their masculine and sophisticated style. The mix of brick, wood, stainless steel and leather really gave them that vibe they were looking for. 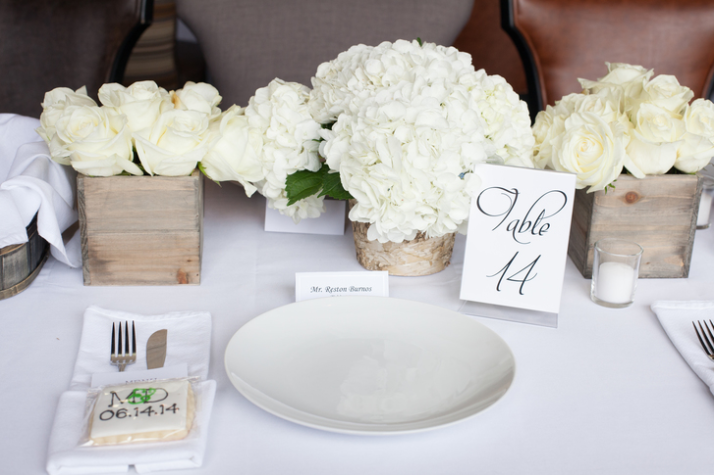 White roses, hydrangea, and calla lilies were grouped together on the tables in wood containers that lent to the couple's classic style. To keep the cakes from being too simple but still not over the top, boxwood sprigs were added as a final touch.